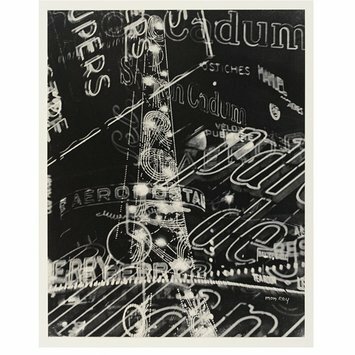 Man Ray was a master of experimental photographic techniques. In the 1930s, he participated in the Surrealist avant-garde and worked as a fashion photographer for Vogue. 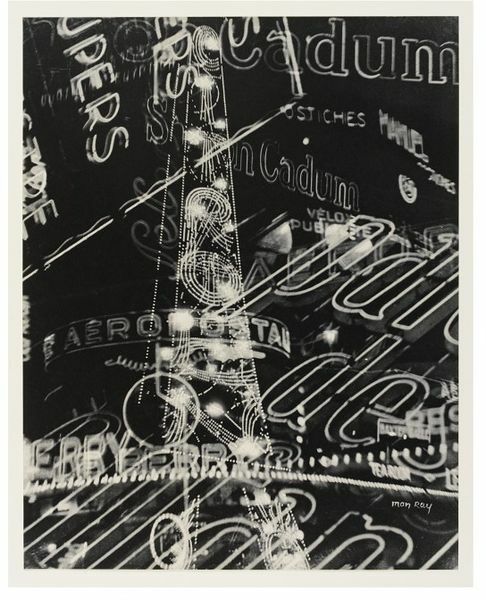 He famously declared, ‘I photograph the things that I do not wish to paint, the things which already have an existence.’ In this multiple exposure photograph of neon advertising signs, which he allegedly took while travelling through central Paris in a taxi, he captured the speed and vitality of the modern city. 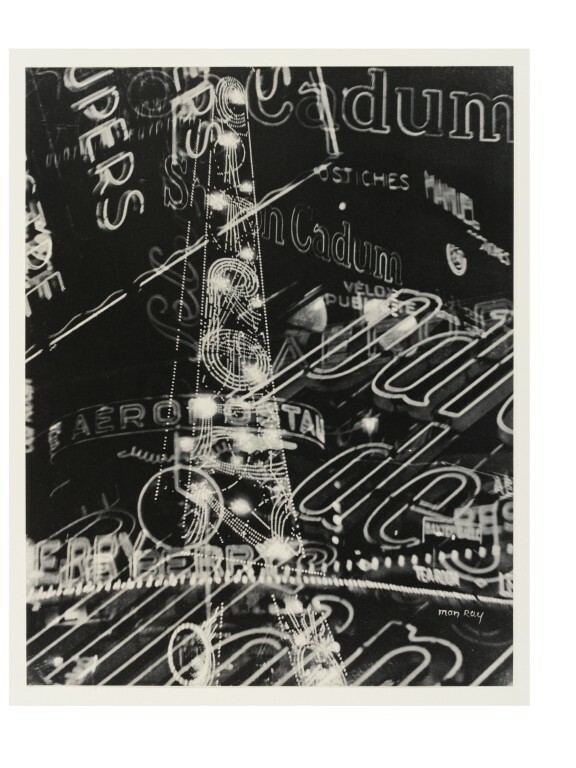 Black and white photogravure; multiple exposures of neon advertising signs in central Paris. Stephen Bury, ed. Breaking the Rules. The Printed Face of the European Avant Garde 1900-1937 London: The British Library, 2007. ISBN: 978 0 7123 0980 6.